We asked a bunch of young scientists who received the Lindau Nobel Laureate Fellowship to be our field reporters at The 67th Lindau Nobel Laureate Meetings in Germany. In this report, Andrew writes about his time at the conference. Over the past week I have had a once in a lifetime opportunity to meet multiple celebrities from across the scientific community. 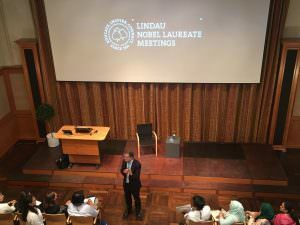 The Lindau Nobel Laureates meeting brings together Nobel Laureates and young scientist from across the world in a week of action packed lectures, discussion sessions and workshops. The importance of The Simpsons, curiosity, basic research and novelty are just some of the insights I gained! One of the key messages learned from various Noble Laureates during Lindau is the importance of fundamental research. Many of the discoveries that the Laureates discussed was based on research that is purely for discovery purposes and at the time seemingly had no application. For example, William Moerner received the 2014 Noble Prize for his work on the development of super-resolved fluorescence microscopy. The discovery originated from William’s curiosity to detect single molecules, which, at the time, was thought to be impossible. His discovery has since contributed to numerous applications across all scientific disciples. Other laureates, Ada Yonath, Klaus von Klitzing, and Dan Shechtman discussed the importance of basic research. They all mentioned that when they first made their discoveries their papers were not accepted by the scientific community for some time, and were sometimes even ridiculed by other scientists because their discovery were against the norm. They also mentioned that in order to make their groundbreaking discoveries they needed to focus on research areas that people perceive as impossible or too difficult to do. 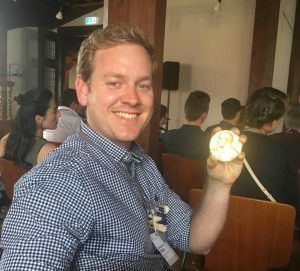 Klaus von Klitzing was kind enough to share around his Nobel Medal during his discussion session. 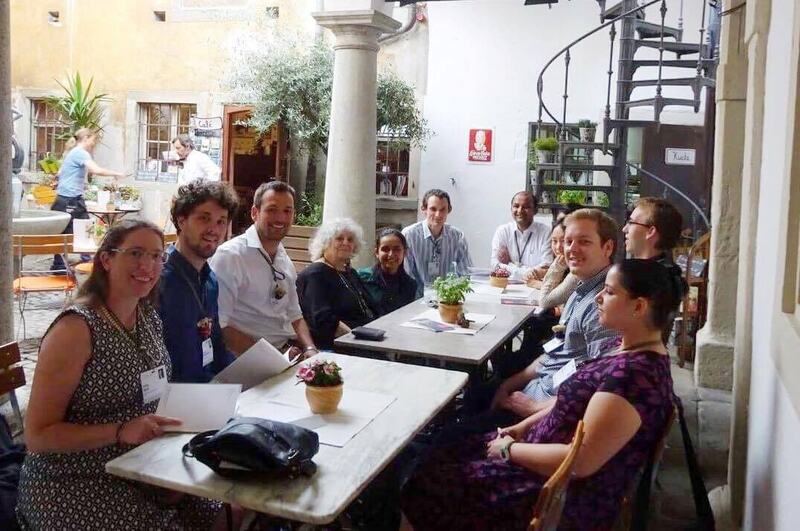 The Australian delegation having a discussion with Ada Yonath and her students over lunch. Funding for basic research advocated by these Nobel laureates is unfortunately, in today’s competitive research environment (especially in Australia) difficult. Funding bodies are more commonly supporting applied research over fundamental science, often overlooking basic research that may lead to major discoveries. One laureate specifically mentioned that in order to obtain funding for basic research you just need to be deceiving when communicating with these funding agencies. This quite obviously highlights a need for change in allocation of funding if we want to see more groundbreaking findings in Australia and across the world. Nobel laureate Ben Feringa also provided some very well rounded advice to young researchers: young researchers need to “stand on two legs”. He explained that one leg is for stability: where you conduct well rounded research that will lead to publications to keep your career on track to in order to obtain funding. The other leg is for innovation: this allows you to conduct novel research into more fundamental science in areas that may potentially lead to groundbreaking discoveries. Ben Feringa giving young researchers some insights as a Nobel Laureate. Two laureates comically mentioned The Simpsons as an important factor in winning a Nobel Prize. 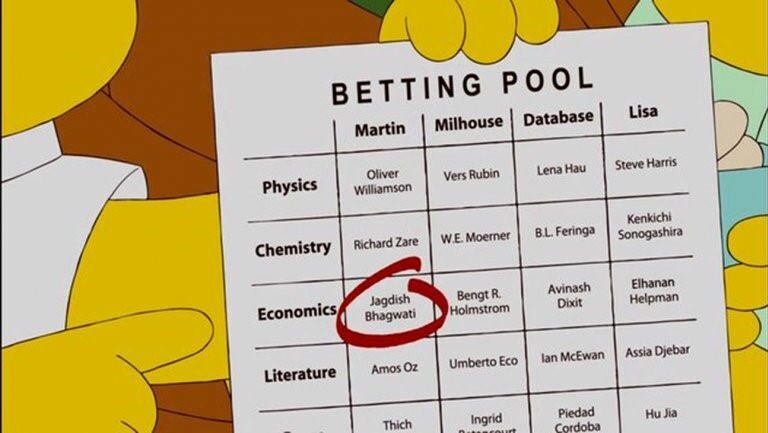 In their talks Ben Feringa and William Moerner showed that prior to receiving the Nobel Prize, their names appeared on a betting pool on an episode of The Simpsons, as to who would next receive the prize in chemistry. Their names also appeared alongside Bengt Holmstrom who also received the award in the 2016 economics prize. The betting pool on an episode of The Simpsons that correctly tipped Ben Feringa, William Moerner and Bengt Holmstrom who has since received a Nobel Prize in their respective fields. The Laureates I have meet throughout this week have been both incredibly inspiring and have taught me more than I could ever list in this one short article. Their passion is what drives their desire to do well in science and has made them into who they are today. I aim to take on the advice that these Nobel Laureates have shared throughout the week and I believe that this will have significant benefits for my own scientific career. 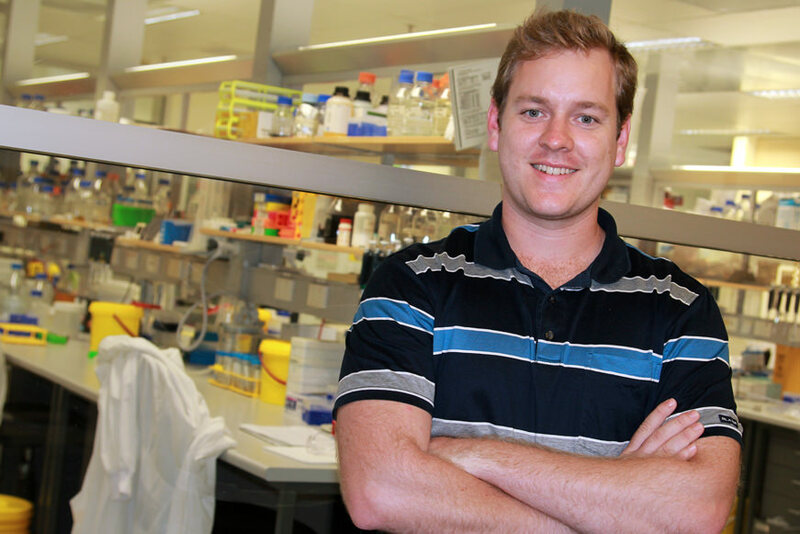 Andrew White is a PhD student at the Institute for Molecular Bioscience, University of Queensland, where he works with Prof. David Craik on the synthesis of cyclic disulfide-rich peptides in drug design. Andrew’s broad research interests include natural product chemistry, peptide synthesis, pharmacology and NMR spectroscopy. In 2017 Andrew was awarded the Australian Academy of Science’s Science and Industry Endowment Fund to attend the 67th Lindau Nobel Laureates Meeting dedicated to Chemistry.